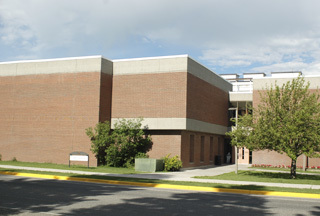 Cheever Hall includes labs, studios, classrooms, workshops and the Creative Arts Library. Architecture student projects often are displayed in the main floor lobby. Outside the south door of Cheever is another portion of the MSU Arboretum that winds through the campus. Built in 1974, Cheever Hall is part of the Creative Arts Complex with its name honoring Hurlburt Cheever, a teacher 1921 - 1965, campus architect and head of the School of Architecture, 1945 - 1961.